We are excited to offer Google Apps as it represents an important step towards developing a 21st century approach to curriculum and learning. These tools will support the high levels of collaboration that are required in today’s classroom to prepare students with the communication and skills they’re going to need. Anytime, anywhere access - Google Apps works in any browser on any computer, which means you can access your email, calendars, and documents from school or at home on any internet enable device. No flash drives required with documents and files stored in Google Docs. Students can easily collaborate with students from other classes, buildings, schools, districts or even different countries, working together on group projects. Teachers can be involved throughout the whole assignment process providing comments and feedback directly in the documents. Students can develop an e-portfolio of work throughout their years at the school. 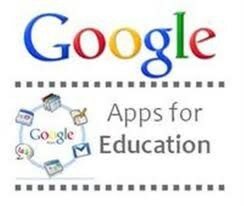 How Can I learn more about Google Apps?